I did a round up of my favorite breastfeeding friendly dresses at Babble. Thank you for this post! My baby is almost 6 wks and I've struggled the past couple weeks trying to make my only 2 skirts that semi-fit work for church. 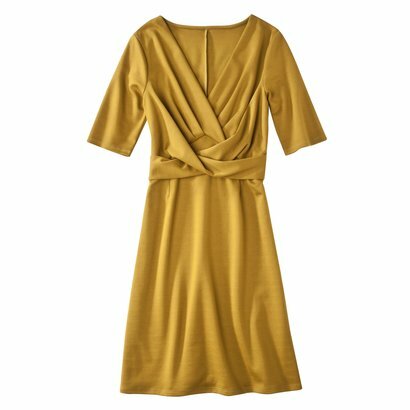 Just ordered a couple dresses off of Target and I can't wait for them to get here. There's also a white wrap dress under their clearance section I ordered. I'm thinking it will be perfect for spring.